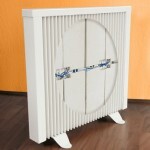 « Electric heating radiators from Germany: They’re all the same, right? Most of our customers aren’t heating experts, and there’s some confusing jargon surrounding the products available. Some terms have real meaning, while others are used purely for the purposes of marketing. Do you really know what they mean? This is one of the most widely used terms in the marketing of electric heating, and although it may sound complicated and advanced, it isn’t. ” Thermodynamic fluid” refers to any type of liquid which is used inside the body of an electric radiator. The liquid can be made up of synthetic oil, mineral oil, or even just water with a rust inhibitor and anti-freeze. The purpose of the fluid is simply to transfer the heat energy from a heating element, to the outer body of the radiator. 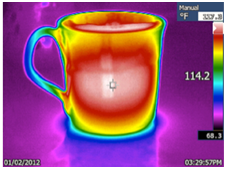 The term “Thermodynamic” refers to the science of heat transfer. In the broadest sense, the water found in traditional radiators could also be considered a “Thermodynamic Fluid”. Powder coating is a process used to colour and protect heating appliances, as a higher quality finish and more durable alternative to paint. The powder coating process involves a powder like substance which is bonded to the metal of the electric radiator using electricity. The metal is then baked at a very high temperature. The main benefit of powder coating over painting, is that there is no drip, or over-spray, so the surface is left very smooth, and free of defects. The coating is much thicker than paint, so is not as likely to be affected by scratches – making the finish very durable. Powder coated metals do not discolour over time, as paints can. A pure white will not discolour to a yellow shade over time. 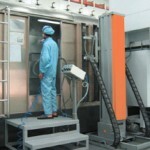 Powder coating is a more expensive process than painting, but the benefits are great. Convection generally refers to the method of heating air directly. In the most basic form, convector heaters use an exposed heating element to heat the air which passes over it. The warm air circulates through the area. This can be problematic, as the exposed element is in contact with dust, which burns on contact. This causes burning smells, and reduced longevity. The heating element does not need to be directly in contact with the air though, and as with some electric radiators, the element is enclosed within a heat-retaining medium (See “chamotte”) and also within a steel, or aluminium outer body. The use of a fluted body allows for cold air at the floor level, to be drawn to through the warm hollow flutes, and pushed out through the top grille. This is known as natural heat convection, which circulates a constant flow of warm air through the room. Using only convection can lead to considerable fluctuations in temperature between the floor and ceiling. Radiant heat is given off by the warm rays of the sun, and so is the most commonly experienced heating effect. Radiant heat is emitted from the front panel of an electric radiator, and is also the method of heat transfer employed by under-floor heating. Radiant heat gives a comfortable effect. It heats objects within a room, but does directly heat the air. Radiators, whether electric or boiler-fed, do not give off just radiant heat, as the name would suggest though. See “convection” above. Ideally, an electric heating system should heat using a combination of radiation and convection, to ensure an even effective heat distribution. This is the measurable unit of electrical power that is used by the electric heating appliance. Smaller wattages are usually required for smaller areas, and larger wattages are needed for heating larger areas. There are other factors which affect the wattage that is required though (See “Heat-loss factors” ) The use of each room will also determine the wattage requirement in most cases. A living area for example, would usually need to be heated to a higher temperature than a bedroom. Electric radiators generally range in power-output from 500 watts to 3 kilowatts. Chamotte (also called fireclay) is a type of clay which is commonly used in German-built electric radiators. It is rich in aluminium, and silica. It is used because it retains heat very effectively, and dissipates the stored heat energy slowly. In electric radiators, heating elements are sealed within chamotte tablets to create long-lasting heat, which is transferred to the steel outer casing of the radiator. The partial storage capacity of the chamotte tablets gives a steady and consistent heat output, when used in a steel-bodied electric radiator. More on this type of electric heating is available from our recent article: Electric heating from Germany. 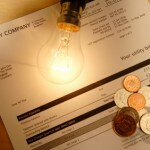 This tariff is predominantly used for properties which use old fashioned electric night storage heaters. As the name suggests, there are seven hours of cheaper electricity available, but only during the night, and normally only for use with the night storage heaters. These seven hours of “off-peak” power are used to heat up the bricks which are contained in storage heaters. There are many drawbacks to night storage heaters, and also to the Economy 7 tariff – not least that the regular “on-peak” price per unit (KWH) is increased significantly, meaning that the usage of all other electrical appliances and lighting is charged at a premium. 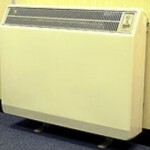 See our Guide to storage heaters, for more information. 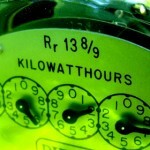 Ten hours of reduced-rate electricity, which is usually fed to all sockets around the house. This means that it can be used for any appliance. Unlike the Economy 7 tariff, the Economy 10 tariff is available at different times, which vary according to the supplier that you choose. Generally there are around three hours in the early morning, three hours in the evening, and four hours in the night. Like the Economy 7 tariff, it is likely that the “on-peak” rate will be increased, but unlike Economy 7, this tariff can be used to power any appliances. 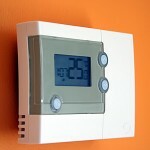 If the occupier is likely to be at home during the “off-peak” hours, then they can capitalise by building up some background heat from the electric heating system, and also using washing machines, tumble dryers, immersion heaters and other larger wattage appliances during the cheaper periods. When we determine the wattage output (see above) that is required to heat an area of a given size, we also need to understand how much heat is lost through the walls, floor, ceiling and windows. 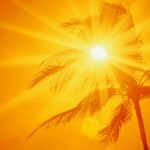 This is often referred to as the heat-loss factor. A building which has a low u-value (see “U-Values”) usually benefits from a good level of insulation, and consequently has a low heat loss-factor. Buildings with a high heat-loss factor generally have high U-values, and would require a higher wattage output, to compensate for the amount of heat lost. 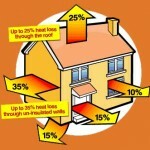 Areas with high heat-loss factors are harder, and more expensive to heat. There’s more on how to insulate your home in our guide here. The lettered energy ratings applied to homes, and some components of properties, such as windows and insulation board, are applied according to a series of U-values. These relate directly to the overall energy efficiency and heat-loss factors (see above). In basic terms, every material which has been used in the construction of the floors, walls and ceilings of a building transfer heat at different rates. The order in which the materials are positioned, and the thickness of each material are also important. The higher the rate of heat transfer (or heat-loss) the higher the U-Value. Building regulations require new-build properties and refurbishments to have low U-values, in order to conserve energy. Let us know. We have a live chat window to the bottom right corner of our website. Click it, and we will answer your questions right away. If nobody’s there, please leave us a message and we’ll come right back to you. Some of the more commonly asked questions are also answered on the FAQ Page. For an expertly tailored electric heating solution, get a quote today with no obligation, no home visit, and no hidden costs.